Whenever I put together a styled shoot, I never try to over complicate the idea. I want the set to tell a story without a lot of props or fluff. I want to focus on the interaction of the couple by capturing their candid glances and genuine laughter, bringing out the affection they have for each other in romantic, subtle ways. That imagery is what I strive for - endearing couples in love. 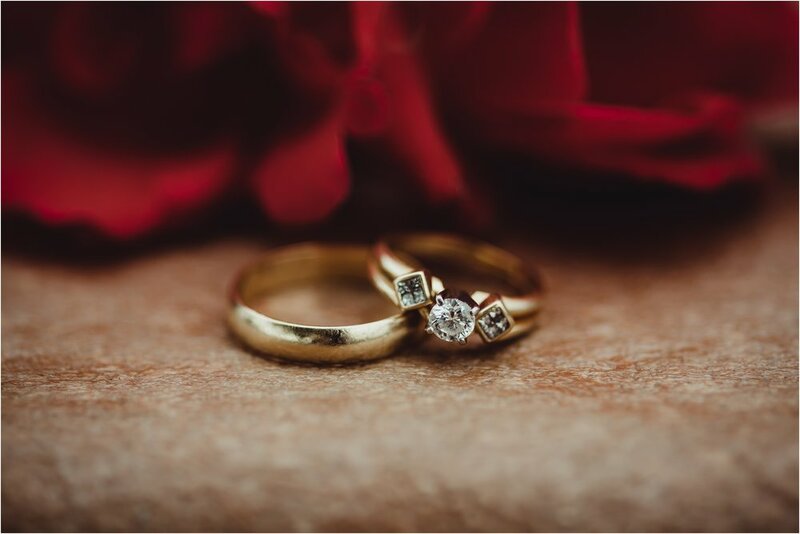 I wanted to bring ideas to couples planning an Elopement, Anniversary session or Vow Renewal, and to appeal to brides on a budget trying to prioritize their wedding photography. There isn't a bouquet, or a boutonniere. The bride is wearing flats from Target and my own favorite teardrop layered earrings. 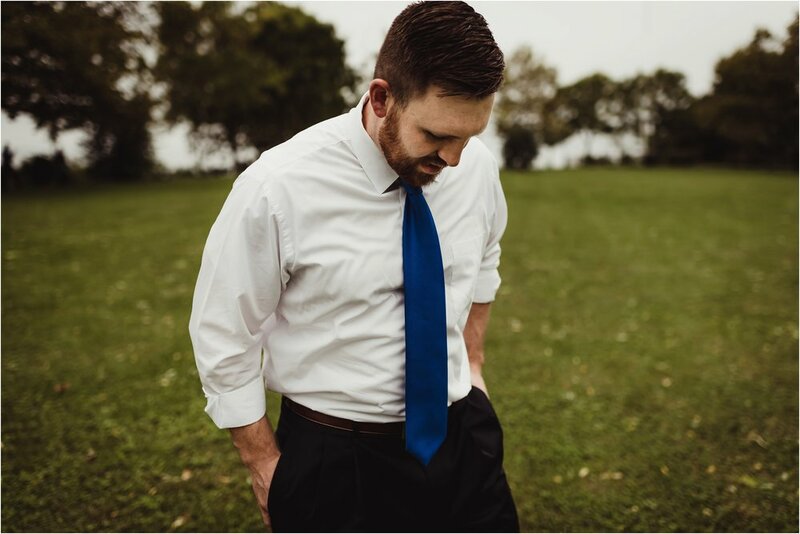 Jason is styled in his own personal navy blue suit and oxford brown shoes. 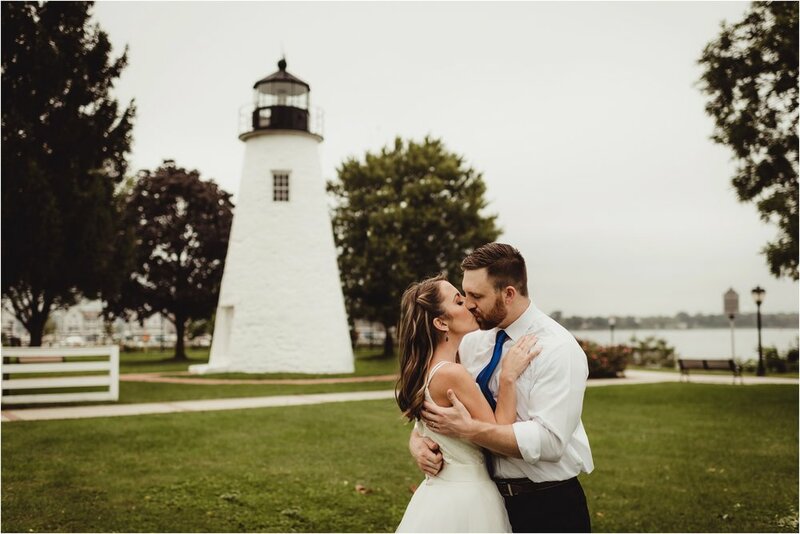 The venue for the portraits was an open, public location - the Concord Point Lighthouse in Havre de Grace, MD. For the makeup, I collaborated with Makeup by Farren. Farren is amazing when it comes to natural bridal looks with hints of glamour. She took my ideas of a gold shimmer lid with a bold dark lip, giving Heather an effortless but vintage Hollywood look. For the gown, I collaborated with Lace & Liberty. Lace & Liberty is an incredible company, offering different bridal looks by mixing and matching their pieces together. I love their philosophy - "We know that marriage isn't just about a wedding, but about the journey and life that we will take with our chosen one. We believe that the dress you choose should represent you in every single way, leave you feeling good, with money to spare for fun experiences in this exciting next chapter of life." Their bridal line is luxurious yet uncomplicated and because of their unique styling, I shaped the entire shoot around Heather's gown. She's wearing the "Gatsby Corset" paired with the "Celebration" skirt and cinched with a white satin wide sash. Seeing the entire look together you would think it was one sewn gown! This entire bridal design is under $1,500 retail which is less expensive than most vintage gowns you can find in local dress shops. Lace & Liberty offer free consultations, try at home rentals, and custom design your look based on your personal measurements. I can't recommend them enough! 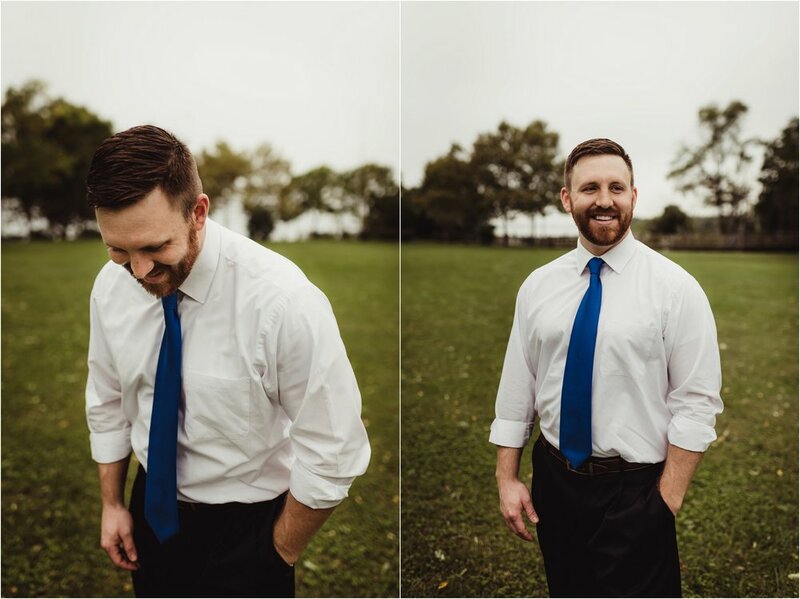 After my first ever styled shoot (check out the post here), I knew that I wanted to repeat using a couple to model that were close friends and had a story to their marriage. 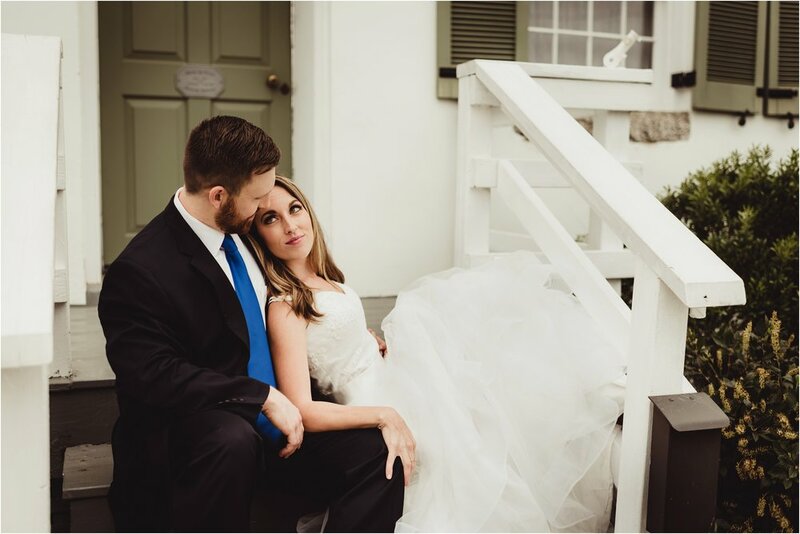 Heather + Jason were a perfect choice. I've known Heather since our awkward pre-makeup teen youth group days. She and Jason got married young at 19 and had a friend photograph their wedding, leaving them without many photographs from their special day. 10 years and two beautiful baby girls later, Heather + Jason deserved their love photographed to show how they still love each other as wild as they did at 19. 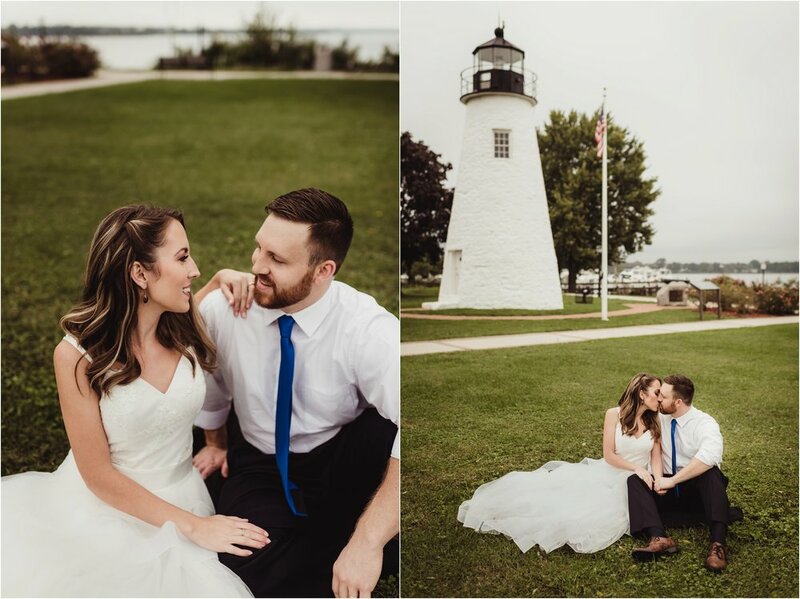 I photographed this session before one of my BNP wedding events and despite the small window of time and the heavy overcast skies, the final set turned out like a dream. I love the moment where I put Heather + Jason's wedding song on speaker through my phone and just let them dance together. Soak in the moment of nostalgia together. Giving them actions to do rather than poses to mock made all the difference in their body language and the emotion shown in each frame. They just prove how love over time grows even stronger. 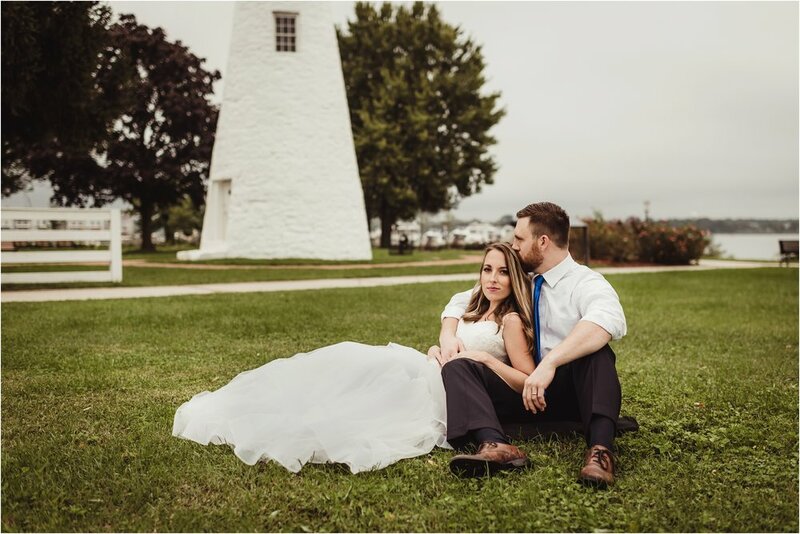 If you're a bride planning a classic elopement or a married couple wanting to remake your bride + groom portraits, let's talk more! Feel free to email me at brittney@brittneynestlephoto.com or fill out and send in your info on the CONTACT page. Thank you again to Lace & Liberty, Makeup by Farren, Rebecca (for hair), Heather and Jason for creating such a beautiful set with me!